Scientists think there are still many undiscovered creatures in the deep sea. But whatever is waiting there for us, I’m sure it’s rich of adventures – which is great material for developing a game. 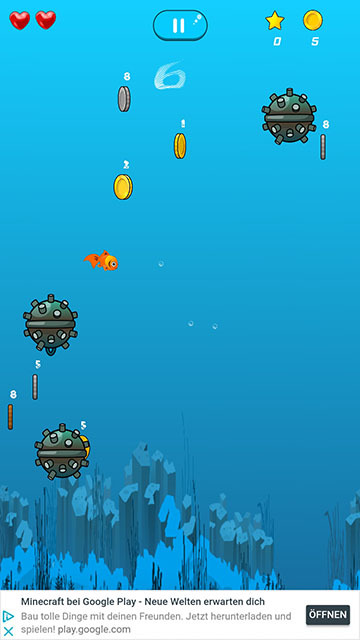 In “Fishy Run” by “4onStudios” you play a fish character called Sam, who needs to collect coins while avoiding getting hit by naval mines. If you like fast-paced casual games, keep on scrolling. 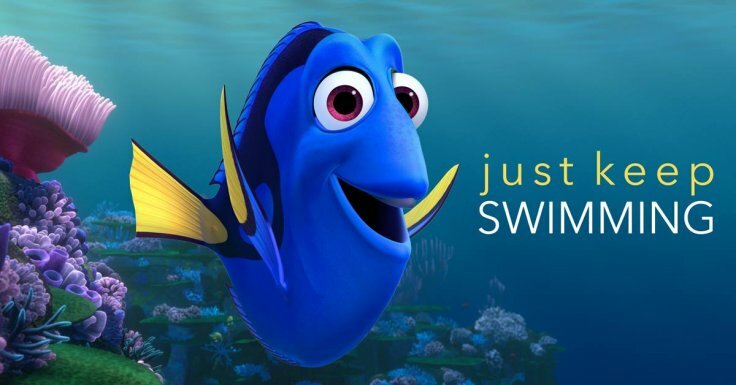 As Sam the fish your goal is to collect as many coins as fast as possible. Each coin has a countdown for how long it will be available. Some are only appearing for three seconds and are accordingly more worth. You can use those coins later to unlock new fish characters. For now, you can get three more, but I think as the game develops, there will be additional characters available. But there are already many more collectibles such as protective shields and even additional lives and stars, which create a magnetic field around you. 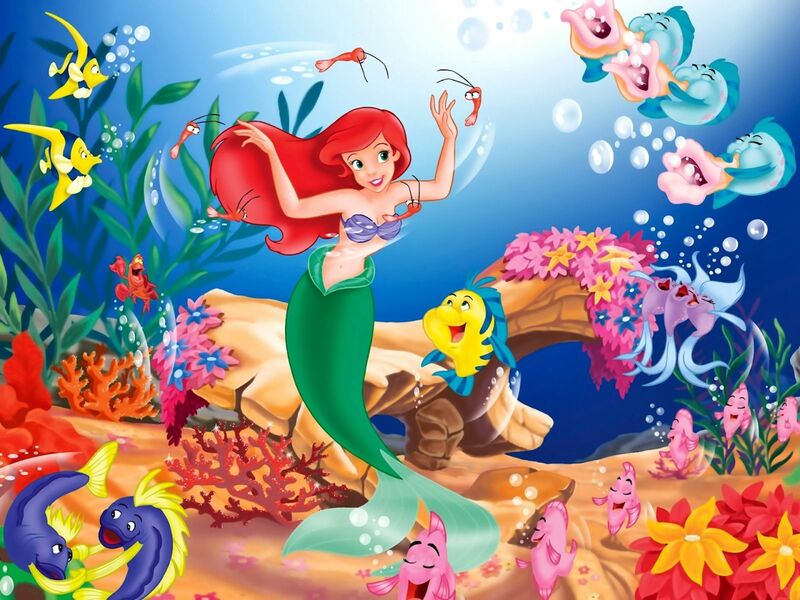 The sea seems to be full of treasures and dangers. You will encounter plenty of mines, which you hopefully can get around. Luckily, you have three lives each round. I like that the gameplay is challenging even though the task is pretty simple, which always makes a good combination in my opinion. Personally, I like to play casual games, because you can play them anywhere you want if you got a free moment. But I always play without any sound in public. The game offers a mute version, but it doesn’t work for the whole game. It actually just mutes the menu, not the actual game. I think this wasn’t the intention and hopefully the developers can fix it easily. The game offers an option to view an ad to get one more life and one more last chance to improve your score, which is always a great motivation to watch an ad for me. But I’m not a big fan of advertisement, that is sticking to the game screen the whole time. Especially not if you can accidentally open them while playing and swiping over them in the game. Maybe it can be reduced a little bit. 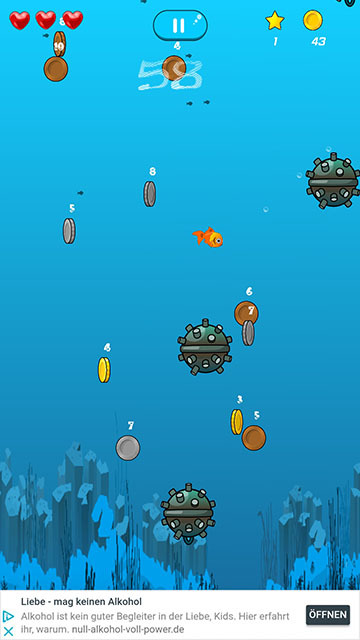 “Fishy Run” is a fast-paced game with plenty of things to discover. If you want to dive into an underwater adventure yourself, download the game here. Claudia is a content creator for Daikon Media and dedicated to game reviews.